8 wonderful miniature tools, reproduced in detail from the originals. 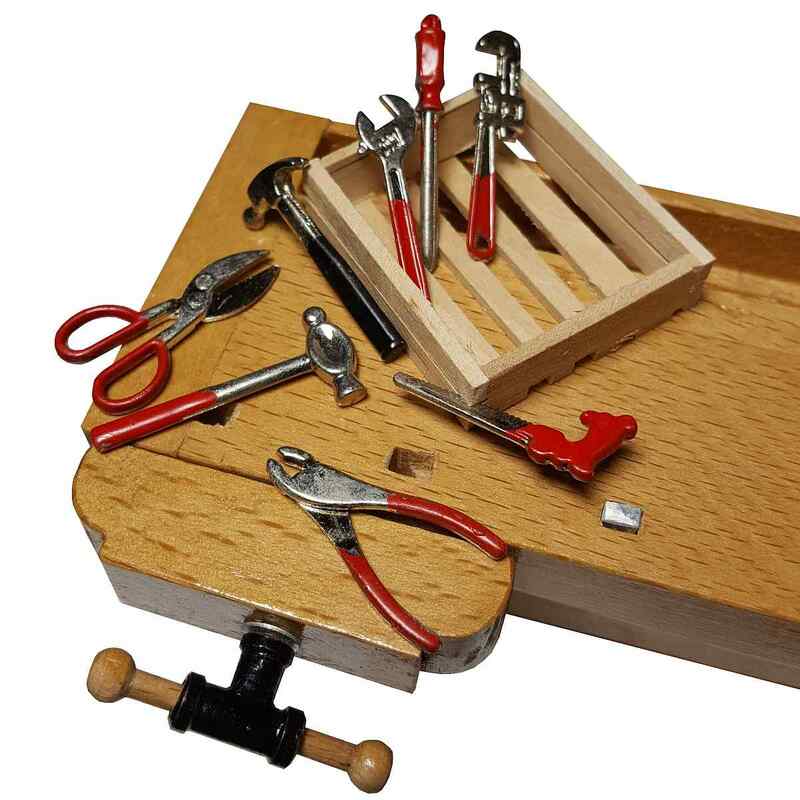 The combination pliers and scissors can be opened and the other miniature tools are as true to the originals. A nice present and a real eye-catcher! 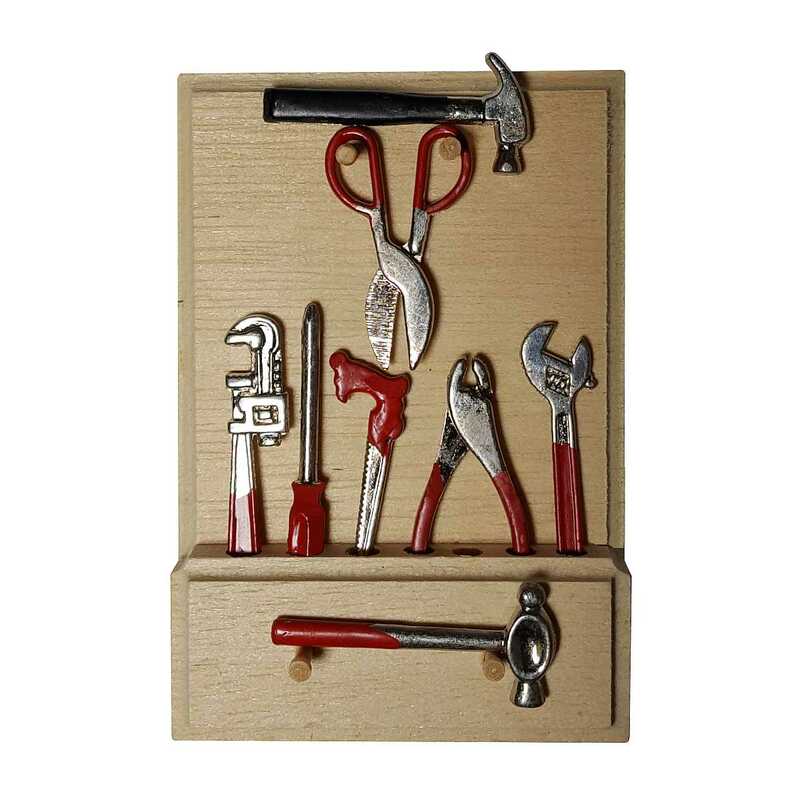 Genuine miniature tool set made of metal, incl. wooden tool wall.